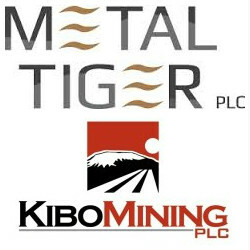 On November 21, 2014, Metal Tiger (LON:MTR) and Kibo Mining signed a Memorandum of Understanding (MoU) for a joint venture to develop the Tanzania uranium portfolio, followed by a GBP 150,000 equity investment from Metal Tiger to acquire a 3.67% interest in Kibo’s issued share capital. According to the CEO of Metal Tiger, Cameron Parry, the company is eager to work with Kibo Mining and their management team. As outlined in the MoU, the 50/50 joint venture will allow Metal Tiger to benefit from the prospectivity for uranium while also allowing Kibo to take their uranium portfolio out of care and maintenance and restart the active exploration work on their portfolio. “The 50/50 Joint Venture will provide Metal Tiger with the opportunity to add value to, and benefit from, Kibo’s sites with prospectivity for uranium – a strategic metal that the Board of Metal Tiger believes should increase in value over the next three years in line with increasing global demand,” he said. Kibo’s Tanzanian portfolio consists of 43 licenses, offers, applications and tenders with a combined surface area of 9,033 square kilometers.